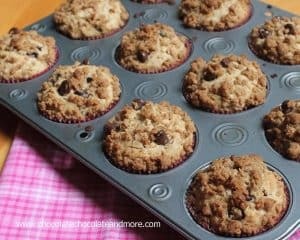 Vanilla Apple Muffins - Chocolate Chocolate and More! 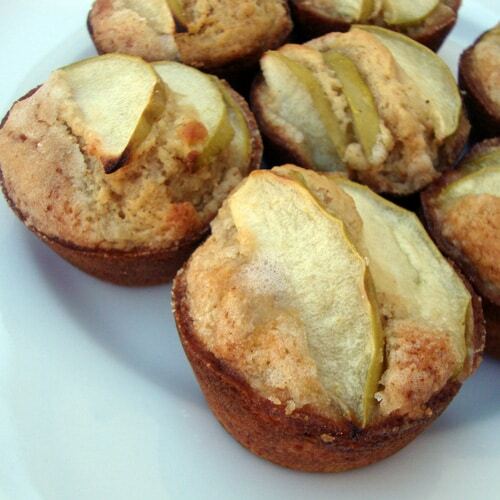 Vanilla Apple Muffins-the light sprinkle of sugar on top of these muffins is the perfect complement to the tart apple. 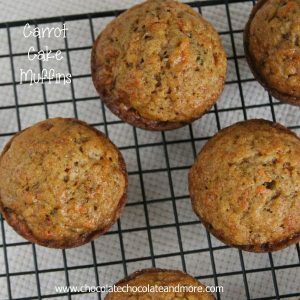 This is not my recipe, I saw this post from Make Ahead Meals for Busy Moms and I knew immediately I was going to make these. In her recipe she used pears but I had Granny Smith apples on the counter. And I had some Pear sauce still left in the cabinet. These were fast and easy to make. 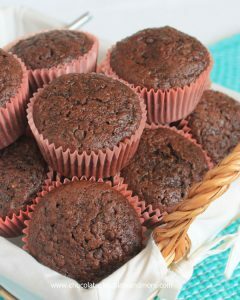 And 4 out of 5 in my house preferred these muffins over the chocolate muffins I also made the same day, including myself. The granny smith apples gave that tart bite and the rest of the ingredients gave the sweet, but not too sweet. Sift together flour, baking powder, nutmeg, apple pie spice and salt. In a separate bowl, combine eggs, vanilla, lemon zest, brown sugar, butter, oil and apple sauce. Add your egg mixture to your flour using a whisk or spoon, do not over mix. Fill 12 lined or greased muffin cups. I greased mine, I like the texture of the bottoms for this muffin. 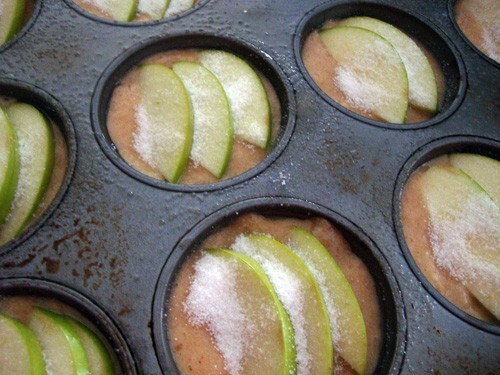 Slice your apple(s) into thin wedges and place 2-3 wedges on each muffin. Place muffins on a plate, on the table and wait for the family to notice them. I love the combination of pear and apple. 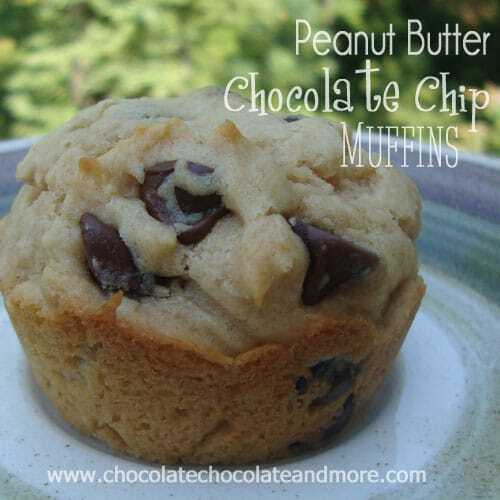 Great muffin recipe, thanks for sharing. How incredible do these look?!? I love how you always put tons of step-by-step pictures. Love that. These look so yummy! 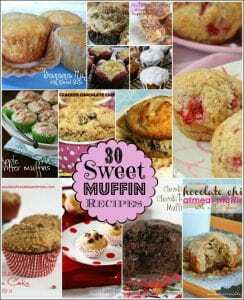 I would love for you to visit my new food blog, The Sweet Spot, and link up your recipes to my Mouthwatering Monday Link Party! I just found your blog and am your newest follower. Your recipes look AMAZING!! Thanks for creating such an inspirational place to visit. 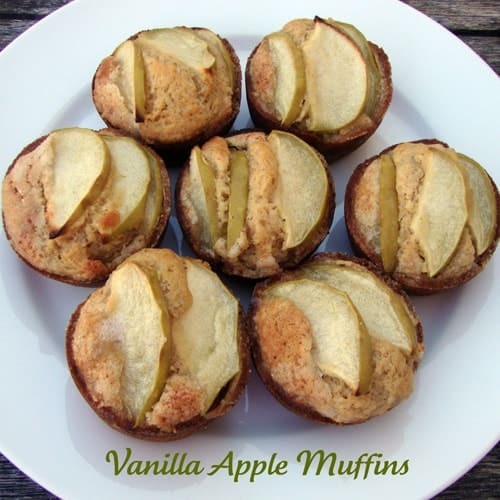 These are beautiful….love the combination of vanilla & apple. Thank you bunches for linking up with Mop It Up Mondays at ishouldbemoppingthefloor. So happy you could stop by! 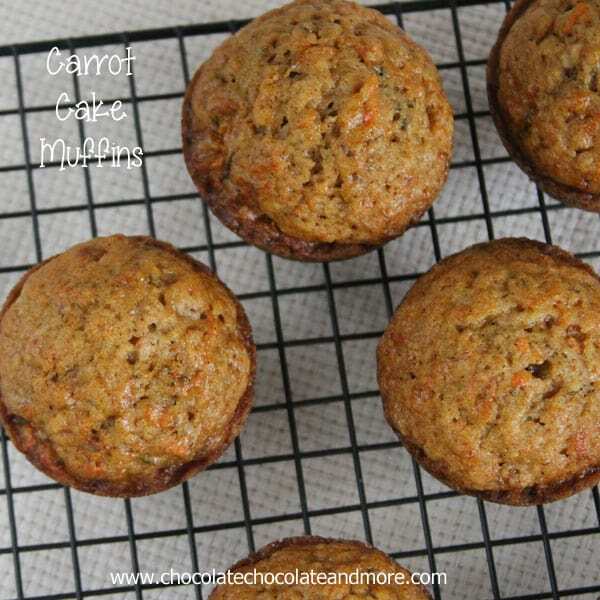 these muffins taste just as good as they look! i added one teaspoon cinnamon and subbed 1/4 t. cloves for the apple pie spice. i also used 1/2 cup homemade apple butter and 1/2 unsweetened applesauce instead of one cup of applesauce. my daughter loves them too! thanks! !